Who’s to Blame for British Police’s Fatal Bungling? 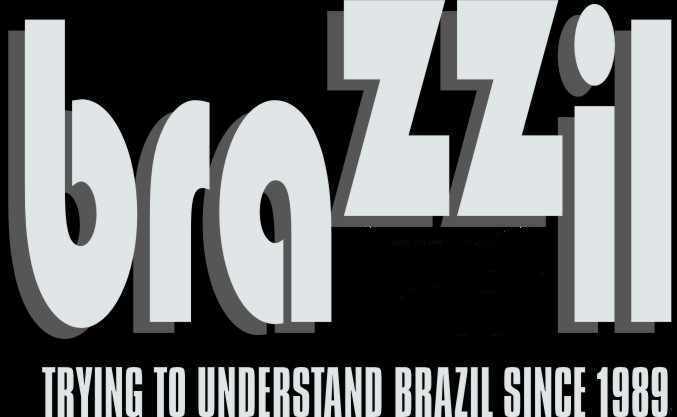 Brazilians Want to Know. London Metropolitan Police Chief Sir Ian Blair denied Wednesday Scotland Yard was involved in a cover up operation regarding the July tragic shooting by special agents of Brazilian Jean Charles de Menezes who they apparently mistook for a suicide bomber. Scotland Yard’s "initial resistance" to a full investigation into the circumstances of the shooting, allegedly was leaked to the British press from the Independent Police Complaints Commission responsible for the inquest. Sir Ian rejected the allegations and said they attack the "integrity of the Police" adding "there was no cover up operation at all". Earlier the IPCC deputy chairman John Wadham was quoted saying that Scotland Yard "initially had resisted us taking on the investigation, but we overcame that. It was an important victory for our independence". IPCC is investigating the killing, – with eight shots, seven point blank in the head -, of Menezes at Stockwell underground station on July 22, a day after the failed terrorist July 21 attacks on the London underground and a bus. IPDD met with the Menezes family lawyers Garteh Pierce and Harriet Wistrich who are calling for a public inquiry into the case. "We expressed our extreme concern that although they have a statutory duty to investigate from the very moment of a fatal death at the hands of the state, they were not there", said Ms. Gareth Pierce following the meeting. She added that the young man’s family is concerned with the contradictions between the initial statement of the Police and statements from witnesses. "The family wants to know who is responsible for all the errors regarding the Menezes case", which according to documents leaked to ITV this week, the Brazilian electrician did not run away from the Police or had a winter jacket on under which theoretically he could have been hiding a bomb, as was originally officially stated. On the contrary Mr. Menezes was wearing a denim jacket, walked into the station, picked up a free newspaper, walked through ticket barriers and only started to run when he saw a train arriving. However Sir Ian argued that "at that stage I and my officers thought the dead man was a suicide bomber and we were in the middle of the biggest counter terrorist operation". Mr. Menezes tragic death "has to be seen in the context of what was the largest criminal inquiry in English history", added Sir Ian, who underlined "it is one death out of 57". Ms. Gareth Pierce described the whole case a "chaotic mess" and demanded to know whether this was due to Police incompetence or negligence. Later in the day the IPCC said in an official statement that "both the IPCC and the Metropolitan Police Service recognise that the unauthorized disclosure of information cannot be ignored and must be addressed". Mr. Wadham said the IPCC was looking forward to meeting Menezes family, adding that the inquiry should be completed within three to six months. It was a terrible fault of London police. Yessss..
All English citizens are sorry. Blair apologized officially and publicly at least on 2 occasions !!!!! BUT… WHYYYYY….BRAZIL GOVERNMENT, MEDIAS AND CITIZENS DONT PUT THE SAME PRESSURE ON BRAZILIAN POLICE WHO HAVE KILLED THOUSAND AND THOUSAND OF CITIZENS…EVEN CHILDREN ?????? WHY BRAZILIAN GOVERNMENT DOES NOT AND DID NOT OFFER USDollar 1 MILLION TO EVERY FAMILY WHO HAVE/HAD OF OF THEIR MEMBER KILLED….BY YOUR POLICE ?????? Are you saying to the world that a killed citizen in Brazil is worth…ZERO…and that a Brazilian killed abroad is worth USD 1 million or more ?????? I said…or more…as now the family expects more than 1 million…!!!!! This demonstrate that inequality is in the mind of some, but not all, Brazilian minds !!!!!! So dont be surprised to have such social inequalities in your country !!!! Or is this simply to divert local and world public attention..of your actual…corruption crisis ????? I could not of said it better. Everyday some 30 people are shot to death by police here in Sao Paulo – just an average. Well obviously the police that shot him to death, that’s a pretty obvious conclusion. But it was also Mr. Menezes fault for even being in London after his papers had expired. He was in the wrong place at the wrong time, because he chose to be. It is also the British governments fault for not looking him up and deporting him. It is also the fault of everyone that helped keep him in London ILLEGALLY until he could meet that fateful day. It is also mine and your fault for not working to make Brazil a better place for our children to want to live in because they can’t find jobs. Bottom line… this whole thing is a tragedy. It happened, everyone wants to avoid this same sort of thing in the future, we’re all a little more cautious, but we must move on. Replaying this will not bring Mr. Menezes back, the British Government has already apologized for this tragedy, and those who seek vengance will never get it. It was a tragedy – as Brazilians we must move on.